Below is my 100-word story for this week’s Friday Fictioneers. To read other contributions, click here. A research spaceship landed on a remote hillfarm and the occupants took on the appearance of the first natives they encountered. The visitors liked the innocuous creatures and after a few weeks, had settled comfortably into their warm, woolly coats. When dogs came and herded the sheep into the back of a lorry, the visitors were intrigued. But as they neared the abattoir, their highly-tuned senses registered the horror ahead. They burst out of the lorry and fled. It was only when they changed back to themselves, well away from the barbaric planet, that they realised some earth-sheep had come too. This entry was posted in Fiction and tagged 100 word story, creative writing, fiction, flash fiction, Friday Fictioneers, Siobhan McNamara. Bookmark the permalink. Love it, Siobhan. Very creative use of the prompt. The ending is brilliant. Those poor aliens! That’s a very clever concept and you handled it well. Nice work! It’s good to risk that every now and then. Thanks Björn, I suspect that had a better fate than if they had stayed at home! That was pretty funny and quite a creative take on the photo-prompt! Alien sheep, yes! Well, the aliens may well enjoying eating the sheep so much that they will return and steal all the rest. Damn. I think if they come back for the rest they will choose a different disguise … just in case! Very good! I wonder what they’ll do with the actual sheep? I never thought someone would come up with some sci-fi from this photo! Clever story. Space-sheep. I like. Very clever! The great escape. I really liked this! 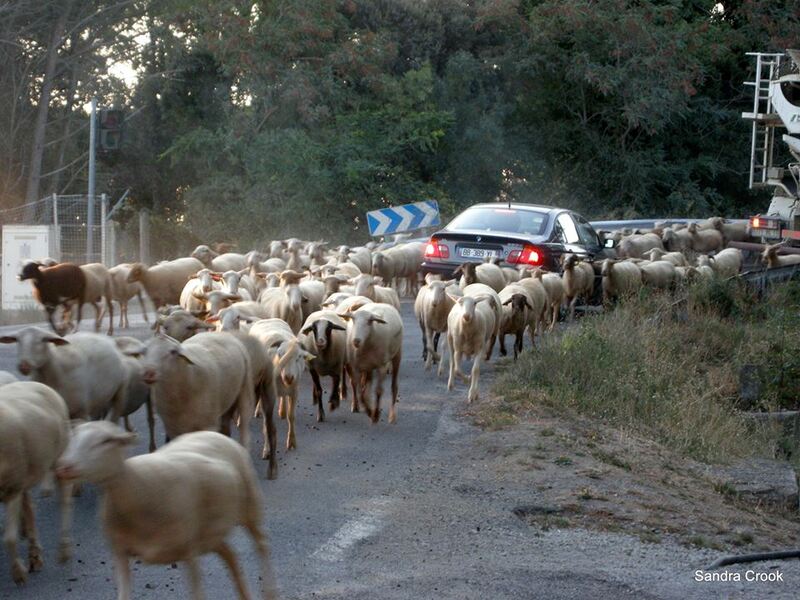 Good to hear some of the sheep managed to hitch a ride to safety! That was clever. I liked the twist at the end too.